In this comprehensive, multidisciplinary volume, experts from a wide range fields explore violence in education’s different forms, contributing factors, and contextual nature. With contributions from noted experts in a wide-range of scholarly and professional fields, The Wiley Handbook on Violence in Education offers original research and essays that address the troubling issue of violence in education. The authors show the different forms that violence takes in educational contexts, explore the factors that contribute to violence, and provide innovative perspectives and approaches for prevention and response. This multidisciplinary volume presents a range of rigorous research that examines violence from both micro- and macro- approaches. 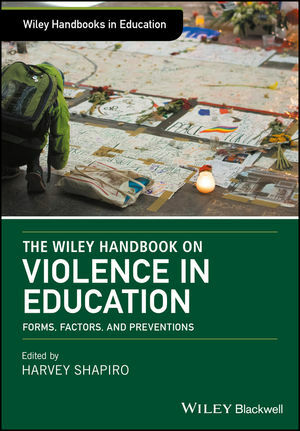 The Wiley Handbook on Violence in Education is designed to help researchers, educators, policy makers, and community leaders understand violence in educational settings and offers innovative, effective approaches to this difficult challenge. Harvey Shapiro is a faculty member in the Department of Education at Northeastern University.